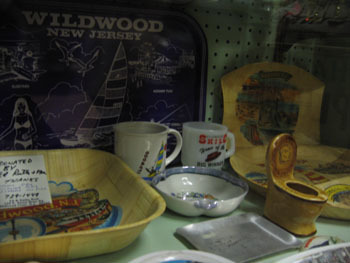 The Wildwood Historical Society has been preserving the history and memories of the Wildwoods since 1963 and is an invaluable source of information and enjoyment for anyone who enters its doors. Once you step inside you feel as if you have been transported back in time. 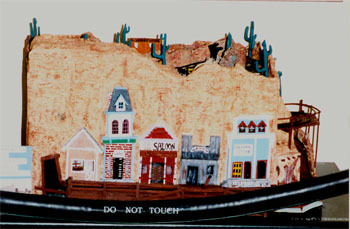 From the resorts simple beginnings in the late 1800's to the rock and rollin' hey-days of the 1950's and 60's the museums collection of photographs, artifacts and memorabilia covers it all... it is truly amazing. We have microfilm from local newspapers dating back to 1897 and photo albums that contain just about any memory you can think of. 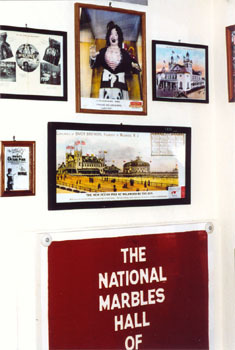 Pictured below are a few interior shots of the museum and the wonderful items that are on display there. 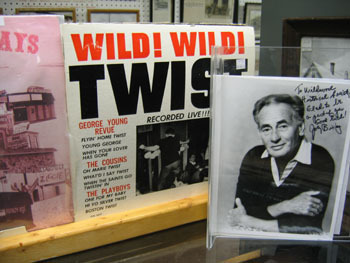 Two of Hunt's Pier's Keystone Kops that I salvaged and restored are now at home in the Wildwood Museum. 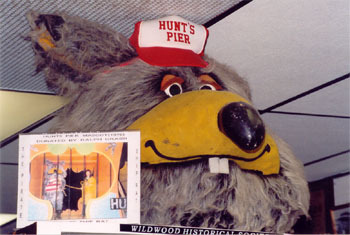 The Ship's Rat was one of the Hunt's Pier Mascots and is pictured above. 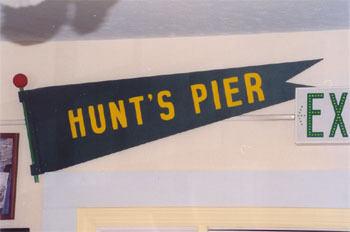 Pictured to the right is one of the many flags that surrounded Hunt's Pier. 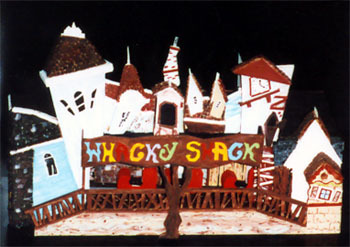 The Whacky Shack and The Golden Nugget recreated by Anthony Canzano and on display in the Boardwalk Room. 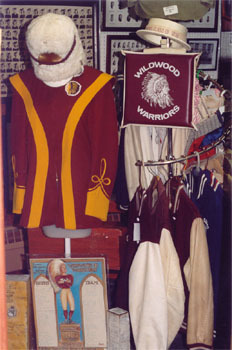 Pictured left is one of the rooms dedicated to Wildwood High School. To the right is a section of the Boardwalk Room which we added last year. 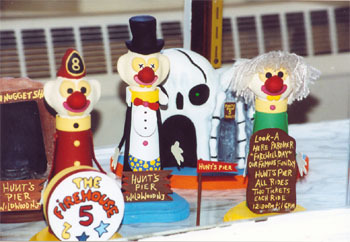 Several of my Hunt's Pier sculptures on display. 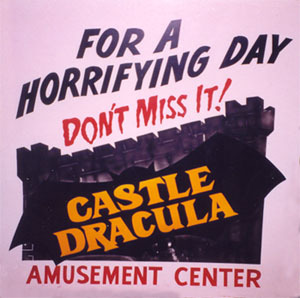 Pictured to the right is a panel from one of the lighted boxes that advertised the Castle Dracula along the Cedar Avenue Boardwalk. 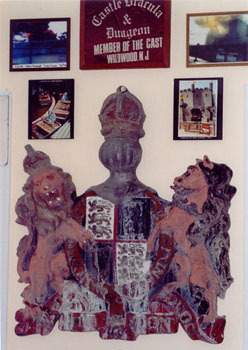 The Coat of Arms salvaged from the Castle Fire by Larry Lillo. 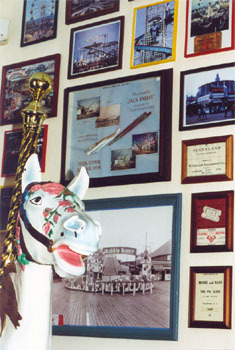 Pictured to the right is a section of the Wall of Rides showing the old Funchase Pier. 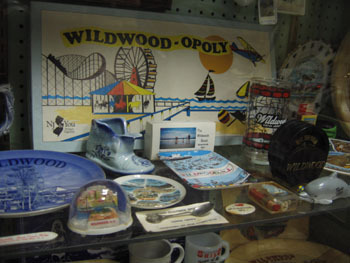 Shown above are just a few of the many display cases filled with Wildwood memorablia. 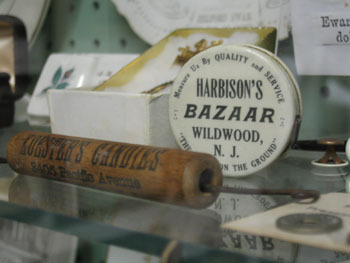 The bell pictured to the left came from the First Methodist Church located on Roberts and Pacific Ave in Wildwood. Demolished in 2004, some may better remember the building in later years as the Quo Vadis Nightclub and later The Nile. 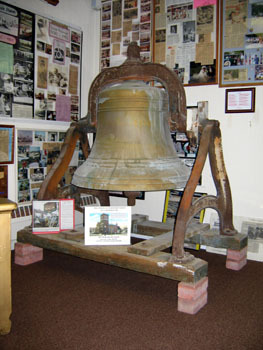 The bell was originally donated to the church by I.T. Woolson in 1928. 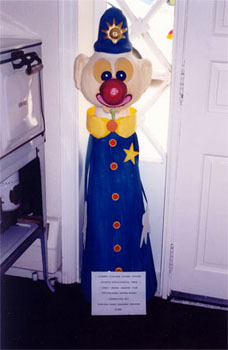 Fortunately it has been salvaged and donated to the George Boyer Museum by Anthony Antonelli and Ray Pensari. 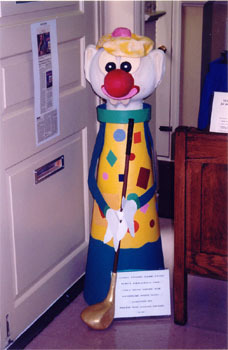 Pictured above is Buddy Bright, longtime official greeter at the Wildwood Museum. Buddy passed away over the summer of 2009... he was 15 years old. I took this photo of Buddy in April of that year. 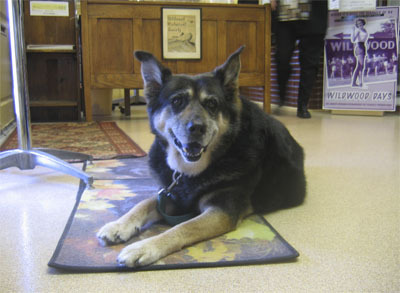 He was a wonderful boy who was loved and now deeply missed.